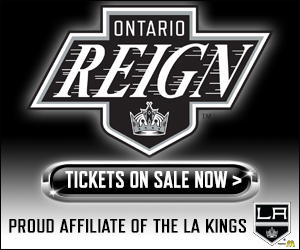 That was how Los Angeles Kings prospect Mikey Eyssmiont described his professional debut a season ago with the Ontario Reign. After he completed his junior season at St. Cloud State, Eyssimont made the jump to the professional ranks and skated in three games with Ontario at the end of last season. 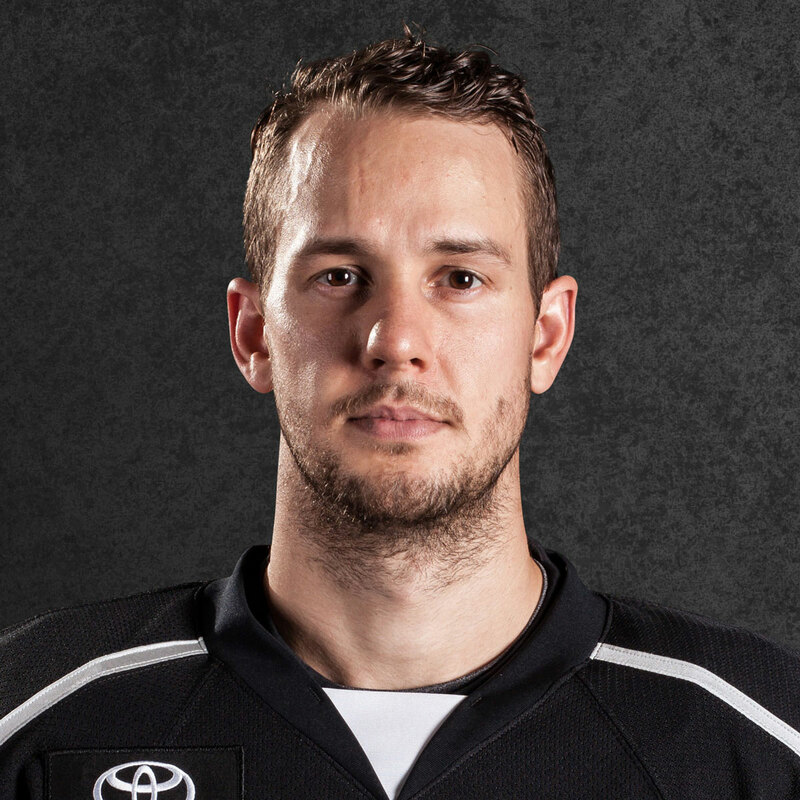 Held scoreless in his first two games, Eyssimont then collected his first career professional point on April 7 against San Diego with an assist on Matt Moulson’s first period goal. Eyssimont expects to make the jump to professional hockey permanent for the 2018-19 season, with a spot somewhere in the Los Angeles organization on the horizon for the six-foot tall forward. The summer of 2018 has proven to be the largest of Eyssimont’s life as a hockey player, preparing for what he knows is a big jump to the professional ranks as a first-year player. 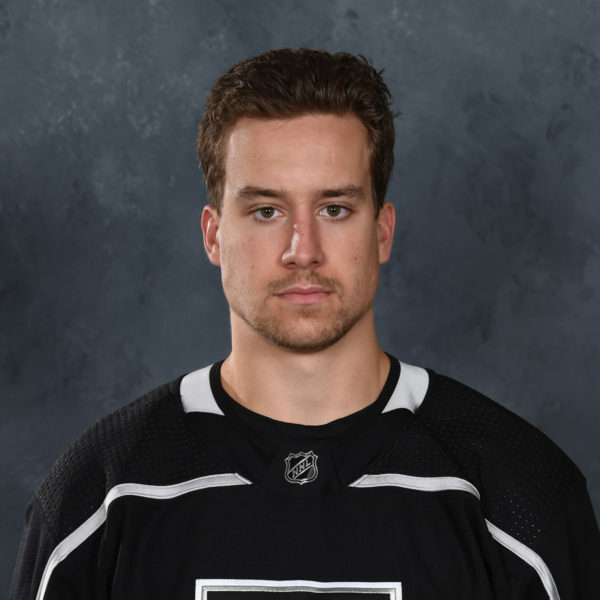 Glen Murray, the newly promoted Director of Player Development for the Kings, was in attendance for Eyssimont’s professional debut a season ago in Ontario. The veteran staffer felt that getting that first test out of the way, getting the eye-opening feeling out of the way, will only serve as a positive for the Littleton, CO native as he begins his professional career full time. Now in his third development camp, Eyssimont’s ability on the ice has shown through as one of the more veteran players at this camp. The 2016 fifth-round draft pick has shown to be one of the most skilled players on the ice in both the individual sessions and the scrimmages, where he’s been frequently paired with other top prospects Gabriel Vilardi and Jared Anderson-Dolan. While the latter two may draw more attention, being first and second round picks respectively, Eyssimont’s high skill level and creativity on the ice has stood out amongst the crowd. With 102 points from three collegiate seasons, including 39 points (17-22-39) from 39 games played as a junior, Eyssimont’s skill level shined brightly at the NCAA ranks as well. 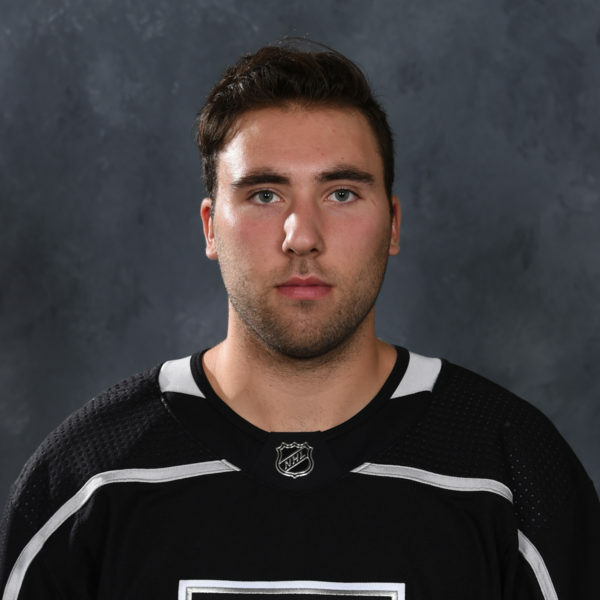 Being now in his third Kings Development Camp, Eyssimont joins defensemen Kale Clague and Chaz Reddekopp as the elder statesmen of the group, with all three players in that group expected to begin their professional careers on a full-time basis during the 2018-19 season. Eyssimont has viewed his experience as a chance to step into more of a leadership role this week, knowing that those players in their first development camp are in the shoes that he wore back in 2016. 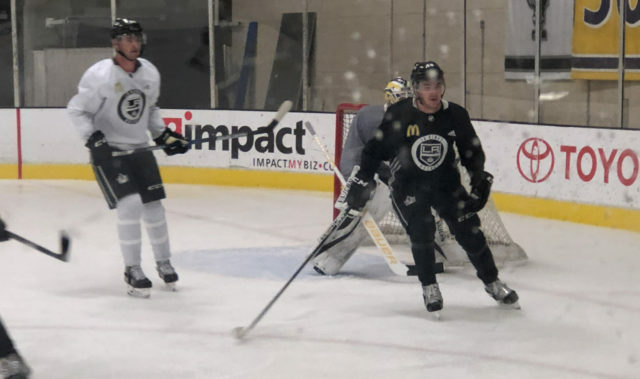 With so much going on over the course of the four-day camp, Eyssimont felt he was able to sit back a bit more this week and help younger players adjust into their first Kings experience. As development camp becomes training camp, which becomes the regular season, Eyssimont’s path becomes clearer. 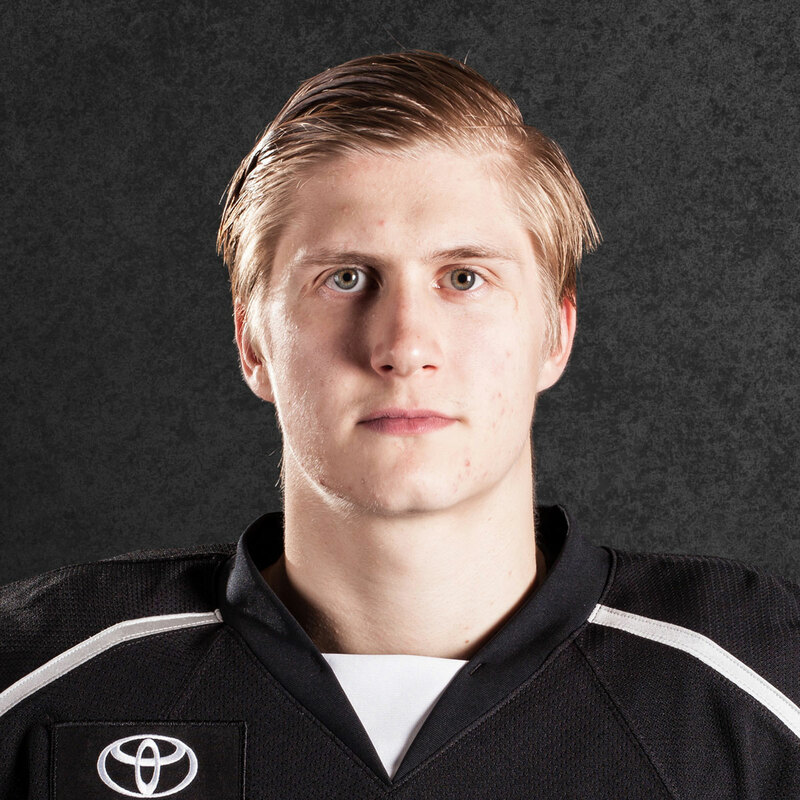 Forward positions within the professional ranks are up for grabs and as a high-scoring player at the college level, Eyssimont’s abilities fall in line with the Kings’ organizational focus on speed and skill. With that in place, it’s a matter of learning that being a professional requires an all-out commitment that playing in the NCAA does not allow. Commitment is something that Eyssimont has certainly shown this summer, whether it be working out in Minnesota or arriving early in California for camp this week. 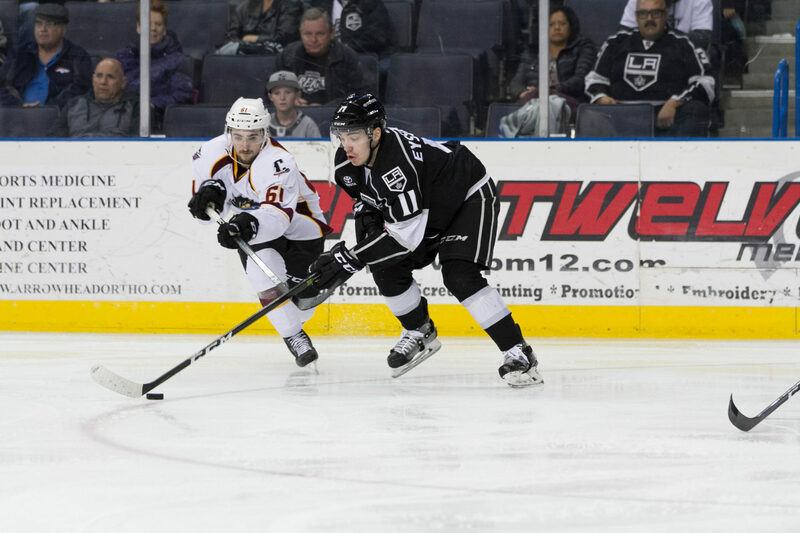 As he approaches his first full professional season, the young forward is already working on his game now that his eyes have been opened to what professional hockey entails.